Home » Posts » Attentionology for K-5 Teachers » Serve Up Sweet, Flowery, Fruity Fragrances to Catch Kids’ Attention! Host Apple Day (or other fruit of the coming season in your region) to catch kids’ attention. What’s your favorite fragrance? How about your students? Do they love flowery, fruity, sweet seasonal smells? In many parts of the world, the seasons and fragrances are changing now – summer to fall or winter to spring. The coming season’s flowers and fruits will take center stage in different regions. Flower and fruit crops depend on climate, of course – a potential connection between attention-getting fragrances and social studies and/or science lessons. What fragrances do you associate with each season? Let’s start with fruit…Choose a fruit that is popular now where you live and teach. HOST APPLE (or other fruit of your choice) DAY – Use the fragrance of apples to “kick off” an attention-getting – Apple Day in your classroom. 1) Announce Apple Day at the start of school. 2) Ask students to name one fruit fragrance that is closely associated with teachers. It may take a minute for them to come up with the apple answer. When they do, ask for a show hands for apple-lovers. Ask for a show of hands for anyone who has ever brought an apple to a teacher! 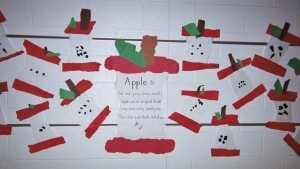 3) Pre-cut several apples into slices in your classroom and then set them out of view. 4) Ask students if anyone can guess the fragrance they smell in the room. This is an attention-getting trick of its own. 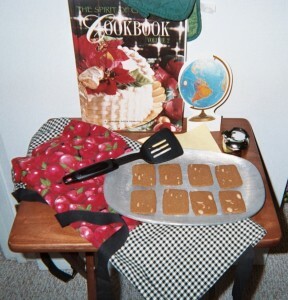 5) Show the class your basket of apples. Pass the pre-cut pieces around the room, reminding children to smell, not eat, the slices. use Apple Day to lead into lessons in K – 2 classes. 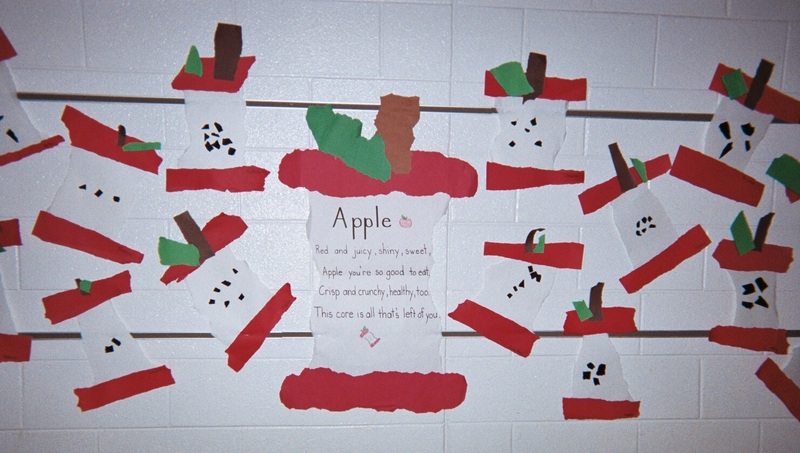 For example, when you begin math time, hold up a poster of apples and ask kids to count them with you. As the day progresses, ask who remembers the fragrance of apples. Invite the class to join in a cheer: “Hooray for apples, it’s Apple Day!” Students will associate the lessons you serve up on Apple Day with the sweet fruit fragrance. Serving up sweet, flowery, fruity fragrances – also known as aromatherapy – offers teachers research-based benefits in helping students. Recent research from The Smell & Taste Treatment and Research Foundation in Chicago, IL (US) suggests that the smell of green apples may help reduce anxiety levels and also alleviate migraine headaches. Other research has confirmed what chocolate -lovers already know – certain aromas, like chocolate, give people an instant emotional lift. Can anyone guess the name of the nutty fragrance in these cookies? Answer: nutmeg! leading into a new lesson. before you have an important announcement to make. 1) Give the class a few minutes of free quiet reading time at their desks while you get out the nutmeg you’ve brought to school. Pour the nutmeg into a porous but non-see-through container. 2) Announce to the class that it’s time to play Name the Mystery Smell. Before you walk around the classroom inviting students to sniff and guess, give hints about the mystery fragrance by telling the class how it is used – in baking cookies, for example. LET’S VISIT LOLLIPOP GARDEN – Is there anything sweeter than a lollipop? No question – too much sugar isn’t good for children (or adults) and dentists shudder over elementary school students sucking on lollipops – but children love lollipops and they do smell sweet. 1) Catch the class’ attention by announcing that it’s time to visit Lollipop Garden! Ask if lollipops smell and taste sweet. 2) Read the poem that I’ve written (see below) to your class. Ask children to listen for foods they can smell and taste. 3) Pass around white or light-colored construction paper. 4) Invite students to draw and color a lollipop garden of their own, after hearing the poem. NOTE: At a later time, you can lead the class in another language arts activity, asking children to write their own lollipop garden poems. OPTIONAL: Give each child a lollipop to take home. Where all kinds of sweet things grow? Candycanes all in a row. The sky’s always bright, bright blue. He’s waiting to welcome you. Fill it with candy bars. And bright frosted wishing stars. Good feelings will chase away fears. When you serve up sweet, flowery, fruity fragrances, attention goes as the nose knows! Activities that involve aromatherapy help students focus on you and on learning! Please send comments. Tell me what you’d like attentionology.com to offer. Take a moment and subscribe. Mid-Week Focus will be here on Wednesday.